Good morning from Santa Barbara, where AT&T is hosting its first-ever media and advertising conference. It's the first time AT&T is bringing together executives from the newly-formed WarnerMedia group since its merger with Time Warner. We'll have updates in the Axios stream, including news from AT&T's ad boss Brian Lesser. Major changes are underway in the very top ranks of the biggest broadcast networks, which despite ratings declines, still drive millions of viewers and billions in revenue. Why it matters: Network television is facing massive viewership declines and is losing top talent to big tech companies, like Netflix and Amazon. Abrupt leadership exits are further compounding those problems. The latest ... NBC's top entertainment exec is leaving, while NBC News Chairman Andy Lack (who sits on the board of Axios) has faced criticism over the network's handling of sexual misconduct. ABC's top media executive is leaving. He joins several big-name producers leaving the network for Netflix. Fox is losing some of its top network executives to Disney/ABC after it completes its merger with the company. CBS has lost its chairman, a top anchor and a top news producer this year to misconduct allegations. Univision has experienced changes to most of its C-suite leadership after a scrapped IPO and restructuring earlier this year. The other side: Changes to the media landscape are having an enormous impact on executives at many media-related businesses, not just network TV. Tech companies, talent agencies, and advertising firms have all been losing or transitioning top talent. Case-in-point: Instagram’s co-founder and CEO Kevin Systrom announced yesterday that he and co-founder Mike Krieger are stepping down from the company after eight years, with six under Facebook's ownership. The big picture: These shakeups are happening amid fall TV show launches, the most important part of the TV year. "The whole decision-making apparatus is in flux," says one top media executive, which will impact preparations for next year. "No one knows who's in charge, who's buying, who’ll be putting shows on the air. The whole cycle of development and pilots has been disrupted," they said. 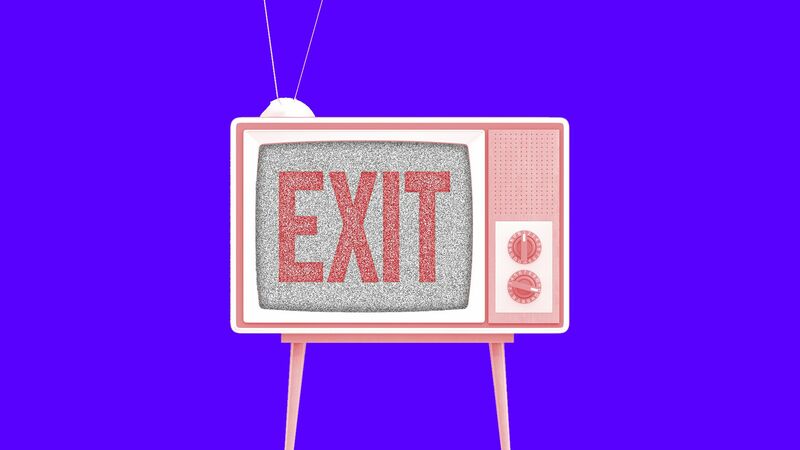 The bottom line: While executives come and go regularly, no one can remember a time when there was so much change and turmoil at the top of all of the networks at the same time. The House is expected to pass tonight a landmark piece of legislation that will reverse decades-old copyright laws to help musicians get paid. Why it matters: The passage of the law, called the Music Modernization Act (MMA), is historic because it reflects an industry-wide consensus to adapt to the realities of the digital era. Sources tell Axios the House will vote on the bill Tuesday evening and it will be sent to President Trump's desk by Thursday or Friday. He is expected to sign it within two weeks. Industry changes this year point to a growing shift in the music industry to streaming, which is mostly dominated by subscription services that give users access to millions of songs for a relatively low monthly price. The shift leaves companies that rely on other sources of revenue for music sales in a more vulnerable position. SiriusXM yesterday morning said it would buy Internet radio company Pandora for $3.5 billion in stock. The deal rationale is for Sirius to move out of cars and into streaming. It's not likely to face regulatory opposition. A new forecast from eMarketer predicts that Pandora, which makes most of its money from ad revenue, will see user declines in the next few years, while Spotify will see double-digit growth this year and next. The big picture: The music industry has collectively been able to adjust to more format changes than many entertainment industries and has been relatively quick to adapt to the on-demand economy. "In comparison to video, we've been much quicker to adapt. We [the music industry] were first and we are much more digital as a percentage than any other entertainment product." #Microtrend: The active lobbying by musicians and songwriters on social media definitely helped push the MMA bill over the sidelines, giving credence to the way social media advocacy has been able to influence policy. After SiriusXM lobbied against the bill, thousands of artists — including big names like Paul McCartney — threatened boycotts of Sirius' parent company Liberty Media. One analyst Axios spoke to argues that this could in part be why some of the streaming companies chose to very publicly back the bill. Comcast has finally prevailed in a months-long battle against 21st Century Fox for European Broadcaster Sky. The telecom giant bought more than 30% of Sky's shares in the market Tuesday. The drama: The decision came after Comcast outbid Fox in an usual but suspenseful settlement auction. Comcast submitted a £17.28 per share bid while Fox submitted a £15.67 per share bid. The real winner: Sky is the biggest winner of the auction. It will sell to Comcast for over $40 billion, after getting an offer for $15 billion from Fox last year. What's next? Fox still owns a 39% minority in Sky, which will go to the Walt Disney Company upon the completion of its acquisition of Fox's entertainment assets. Disney could potentially sell its minority stake to Comcast. Spending on TV political advertising for this year's midterms will be much higher than TV political advertising spending during the 2014 midterms — nearly as much as was spent during the 2016 presidential election, according to estimates from MAGNA. By the numbers: There will be a 20% increase from what was spent in 2014, and those estimates are on the conservative side, says Vincent Letang, EVP and director of global forecasting for Magna Global and author of the report. This year's midterm spend is higher than that of the 2014 midterms due to more competitive races. The Cook Political Report cites 95 House races as being "competitive" this year and 8 Senate races as "toss-ups" compared to 2014's 68 "competitive" House races and 9 Senate "toss-up" races. The big picture: While digital is the future, local TV is still king when it comes to political advertising and direct mail is still a very popular way to reach voters. Be smart: Political advertising is keeping local TV in the U.S. afloat. MAGNA estimates that local TV ad spend will be up 9% this year over last year. If it weren't for this year's elections, it would be down 4.5%. The growth of addressable TV advertising (ads that can be digitally-targeted by household) has become a powerful tool for midterm election advertisers. According to MAGNA's Vincent Letang, political campaigns have been pioneering those new capabilities within the industry, because they are incentivized to take advantage of as much niche targeting as possible. "Roughly 4-8% of adults in battleground districts are persuadable and the improved data/analytics side is allowing us to know who they are." Quote"I work with a lot of veteran organizations and veterans and they tell me this is the fight that I should fight. And as a Jersey boy, I put my money where my mouth is ... They look at me and they think I never would’ve gotten through boot camp and I'm a nerd so they figure, information warfare, maybe I'll know something about that." Newmark, the founder of Craigslist and Craig Newmark Philanthropies, is donating $20 million to fund The Markup, a non-profit investigative news startup founded by Sue Gardner, the former head of the Wikimedia Foundation, as well as former ProPublica journalists Julia Angwin and Jeff Larson. Why it matters: In a difficult economic environment for media, philanthropy has become a helpful resource to help elevate the study of new-age topics, like fake news and misinformation. Background: Newmark has been investing heavily in journalism and technology projects for some time. He previously donated $20 million to the CUNY Graduate School of Journalism’s foundation. The New York Times’ latest Sunday Magazine edition didn’t feature any words on pages, but rather full-page images that corresponded to audio stories that are available on a corresponding podcast. Why it matters: The point of the new format is to give readers a different way to consume an audio-rich story … “sonic storytelling.” For example, describing the sounds of animals featured in NYT's latest “Voyages” edition is a different experience than giving readers the opportunity to hear them for themselves. The details: The special magazine edition was sponsored by GE and produced by NYT's in-house creative shop T Brand Studio, as well as Giant Spoon, the agency responsible for other big experiential campaigns, like the Westworld theme park this summer. GE, the exclusive sponsor of the magazine, tells energy technology stories, their form of “ads,” the same way NYT's editorial team did throughout the audio stream.